In the cold of winter it is a wonderful feeling to enjoy that welcome relief from a warm and delicious cup of tea. 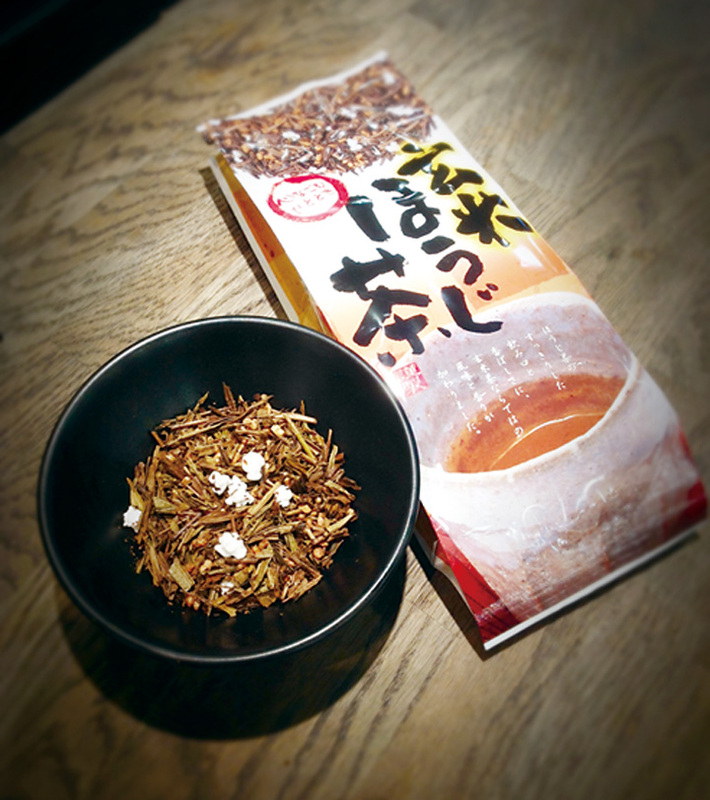 Genmai + Kuki Hojicha Shinbara Special Mix loose tea, 150g packet. * An everyday drink for after meals or before sleep. * Has an extremely low caffeine content (0.000001mg) due to the use of tea stems that naturally contain no caffeine. * Is ideal as a night-time tea and for children. * Coats the stomach walls to aids digestion, soak up cholesterol and help detoxify your system. * Brown rice naturally contains gamma-oryzanol which aids liver function. * To brew, simply put 1 level tablespoon into a teapot and add approximately 1000mls of boiling water. Qualified tea master in the Omote-sen-ke & Ura-sen-ke traditions. produces the highest quality range of matcha and other teas selling at Minamoto Kitchoan, Partridges and Selfridges.